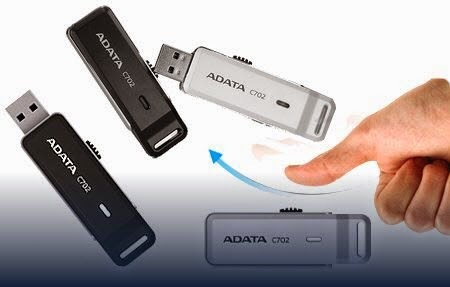 How to fix A-DATA C702 16GB USB flash drive that have Silicon Motion Chip controller .Download A-DATA USB Flash Disk Utility 1.0.4.1 and format your corrupted ADATA Flash drive . USB Flash Disk Utility 1.0.4.1 has been designed to reformat corrupted ADATA USB pendrive that have Silicon Motion Chip controller such as SM324BC .ADATA USB Flash Disk Utility 1.0.4.1 can fix and repair ADATA format errors such as write protection ,Raw problem ,Insert Disk error and other format issues . A-DATA USB Flash Disk recovery tool 1.0.4.1 support repairing the previous chip controllers , so please don't use it with different controllers .First determine your USB flash disk chip vendor , you can use Chip genius software or USB Deview V2.30 utility. How to repair ADATA C702 16GB flash drive? First Download ADATA USB Flash Disk Utility 1.0.4.1 .rar from download links below . Insert corrupted ADATA C702 flash drive to your computer . Extract ADATA USB Flash Disk Utility 1.0.4.1 .rar and open USB Flash Disk Utility 1.0.4.1 .exe . 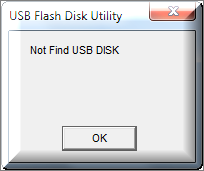 If your flash drive supported , you will see format button and if not you will see the previous picture "Not Find USB Disk ". Wait until finish updating ADATA C702 flash firmware .